These are light, contemporary versions of the traditional ladder-back design. 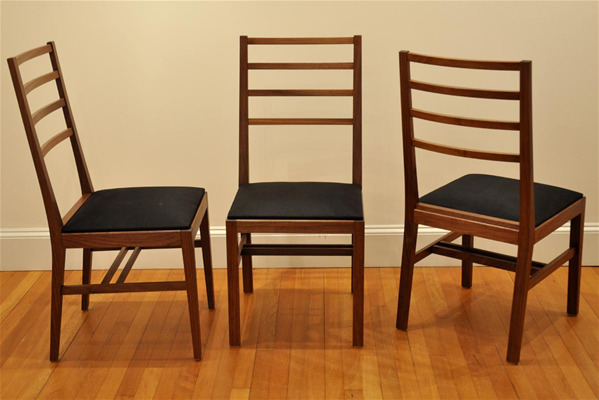 These chairs make for versatile seating, and look great with our slab top tables, or with our more traditional Shaker or colonial-style tables. See more about them on my blog blog. We have also done them with a Danish cord seat ... Price includes a traditional slip seat. fabric necessary is about 1/2 yd per chair. installation of your fabric at $75. chair ... we can provide leather in many colors at approximately $100. per seat additional including installation. leather samples available on request.